See how Raptor Consulting can help you improve efficiency on your next drilling project! Professional well site geology and geosteering throughout the Appalachian and Illinois basins. Well site geology is an essential aspect in the exploration for oil and gas. Raptor Consulting, Inc. can help you every step of the way! Industry experienced operations engineers and geologists specializing in drilling optimization and performance. Geosteering aids in determining the geologic structure of the formation. This information is important while drilling horizontal oil and gas wells to remain in the desired target zone. Our current focus has been supporting drilling operations in the Appalachian Basin drilling very structural complex horizontal wells throughout the Marcellus Shale and the Utica/Point Pleasant. 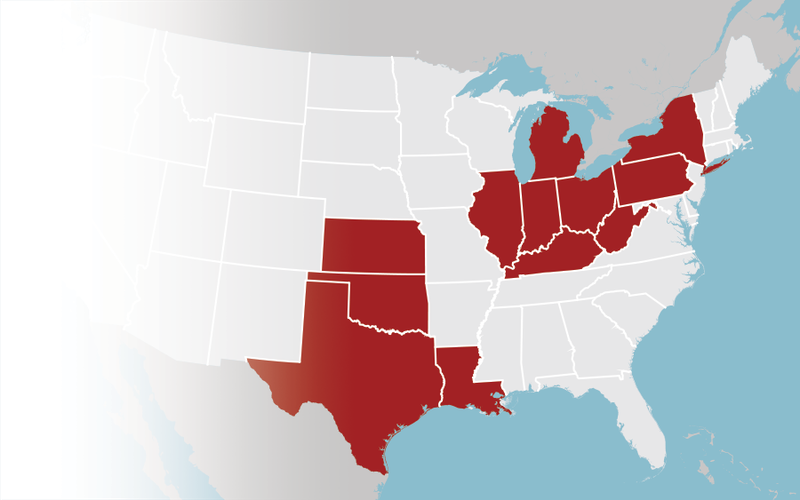 Raptor Consulting has recently expanded operations to include Texas, Oklahoma, Louisiana, and Kansas. Raptor Consulting tailors to a wide-variety of services need, including but not limited to well site geology, onsite and remote geosteering, digital gas detection, and geologic well evaluations.